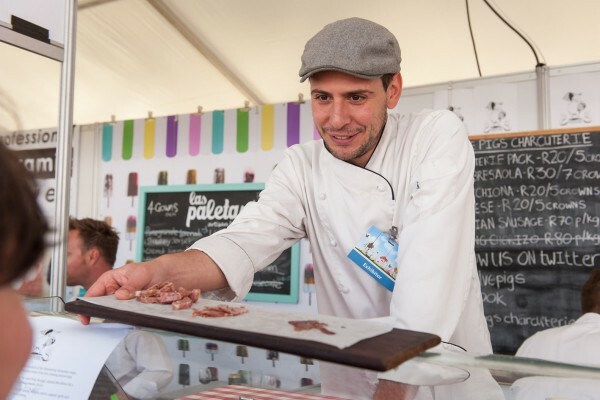 Cape Town, a city with its roots in the tastes and flavours of the Spice Route, was once again the perfect host for Pick n Pay Taste of Cape Town, an international festival celebrating local food heroes and a wide spectrum of culinary styles. Record-breaking crowds, 25% more than in 2012, flocked to the event, held from 11 to 14 April in association with Orbit Sugarfree Chewing Gum. Held in the open air, flanked by the Green Point Stadium and Lion’s Head, the gentle autumn weather played along to make this the most successful Taste of Cape Town ever. The Green Point Cricket Club grounds were turned into a tended gourmet village for this annual gathering of foodlovers, trend hunters and devoted dining-outers. Growing the visitor numbers from 16 000 last year to over 20 000 is the result of factors such as the increasing interest in food as a form of entertainment, and a fast-growing fraternity of food lovers. The largest economic impact is on the local restaurant industry which is the event’s primary focus. Over the years more than 100 restaurants have been placed in the spotlight, showcasing hundreds of signature dishes. The event also supports local infrastructure and suppliers to the tune of R15 million. The proudly “local is lekker” policy ensures focus is placed solely on the city’s own world class talent rather than relying on international names and television chefs. The show is also strategically placed in the autumn in order to boost local trade over the traditionally quieter winter period. This is also evident in the growing respect for local chefs and their interpretation of regional food cultures, doing so with an inventiveness that admirably competes with the best in the world. 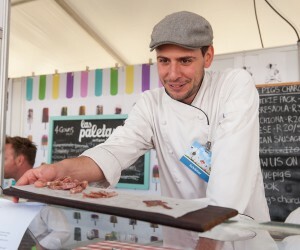 Taste of Cape Town acts like a matchmaker between food lovers and restaurants. Festival guests get the chance to talk to chefs, see them in action and sample a wide spectrum of flavours, food styles and ingredients. The dishes on offer varied from comforting classics to the more avant garde, from gourmet burgers with caviar to intricate creations featuring delicate sashimi, warming Italian pasta dishes, a host of risotto choices, short rib and a myriad seafood choices from sustainable sources.